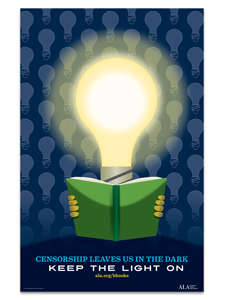 Books are banned and challenged every day in the U.S., silencing discussions, ideas, and stories. 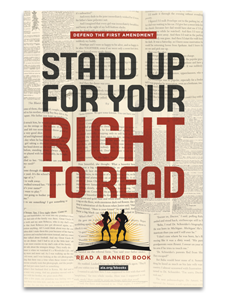 Encourage readers to raise their megaphones and speak out for banned books with this eye-catching poster! 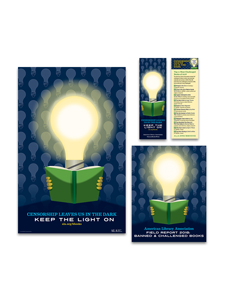 The poster lists a link to the ALA Banned Books website (ala.org/bbooks), stocked with follow-up resources on how to stand up for the right to read, lists of frequently challenged books, and ways to celebrate Banned Books Week. 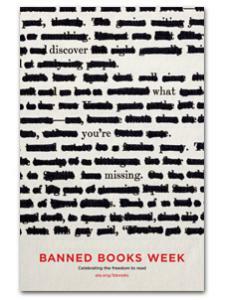 For more information about banned and challenged books, visit ala.org/bbooks.